Real Estate Solutions For Homeowners, Trustees, Attorneys and Financial Advisors. We provide honest solutions for motivated property sellers who need to sell fast and homeowners looking to get top dollar for their real estate investments. Sold Now is one of the nation’s top real estate investing groups because we focus on doing things right. We specialize in buying distressed properties (single family, multi family, bank REO’s, sellers who need to sell fast)… and working with property sellers who just can’t sell the traditional route through a real estate agent. Simply put, our unique method allows sellers to retain the highest net proceeds available while selling the property up to 3 times faster than conventional listings without paying any realtor fees or commissions. Avoid costly repairs, termite inspection, plumbing compliance and roof certification by working with a professional buyer. A big passion of ours is helping to be a part of beautifying the communities we work in by helping people get out of tough real estate situations. By buying your unwanted house, then we work with others in the area to repair the house and get new home owners into each property we work on. Sell your house up to 3x faster. At Sold Now, we are a legitimate and capable buyer that pays you a fair purchase price with no traditional lender-required repairs, and we charge NO FEES. We are looking to buy all types of property in any condition in your area. If you are looking to sell a home quickly, we would like the opportunity to make a fair offer on your house. In most cases we can have a Proposal in your hands within 24 hours. Give us a try by clicking the link below. Receive a Top Dollar Proposal in your inbox today! *Beware of so called Real Estate Investors who are not legitimate or reputable an can leave you high and dry at the closing table. Retain the highest net proceeds, always! 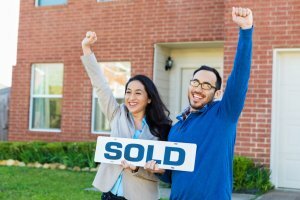 Whether you are a Homeowner, a Personal Representative (PR), Executor of a Trust or Attorney, Sold Now allows you to retain the highest net proceeds, always! We pay Top Dollar wherever we can. Avoid costly repairs, termite inspection, plumbing compliance and roof certification by working with a professional buyer. *Beware of so called Real Estate Investors who are not legitimate or reputable an can leave you high and dry at the closing table. Sold Now: We deliver the ultimate home selling experience, convenience, control and excellent value. Traditional Listing: Typically a lengthy, uncertain and inconvenient experience. House Flippers: Typically a low service and low value proposition. We purchase fixers and rental property nationwide. Because our transactions have no contingencies, inspections or repairs, we’re able to close quickly… or on your schedule. When you work with us there are no fees… like there are when you list your house with an agent. What this means to you is you don’t have to worry about extra costs, having to come out of pocket to sell your house fast, or even getting your house ready for a sale (we sell homes as-is). Don’t worry about repairing or cleaning up your property. We sell homes in as-is condition… no matter how ugly or pretty it is… no matter the location. Selling a house can be a non-stop headache. And if you’re in a stressful situation right now, you don’t have to go through all the tedious hassles of a listing. You can make that worry, the headache, and the hassle disappear with one phone call. This is for the people who have a need, interest and desire to sell but just don’t want to deal with all the hassle of listing it. The people who can’t afford the option of listing. View our recent transactions www.sold-now.com/testimonials here or simply give us a call to discuss your specific scenario. Fill out the quick form above or call us at (888) 501-6238 to get a Free Proposal on your house TODAY!